We’ve all heard the saying “living for the weekend” and while the break is nice, we believe you should live for every day, week days included! 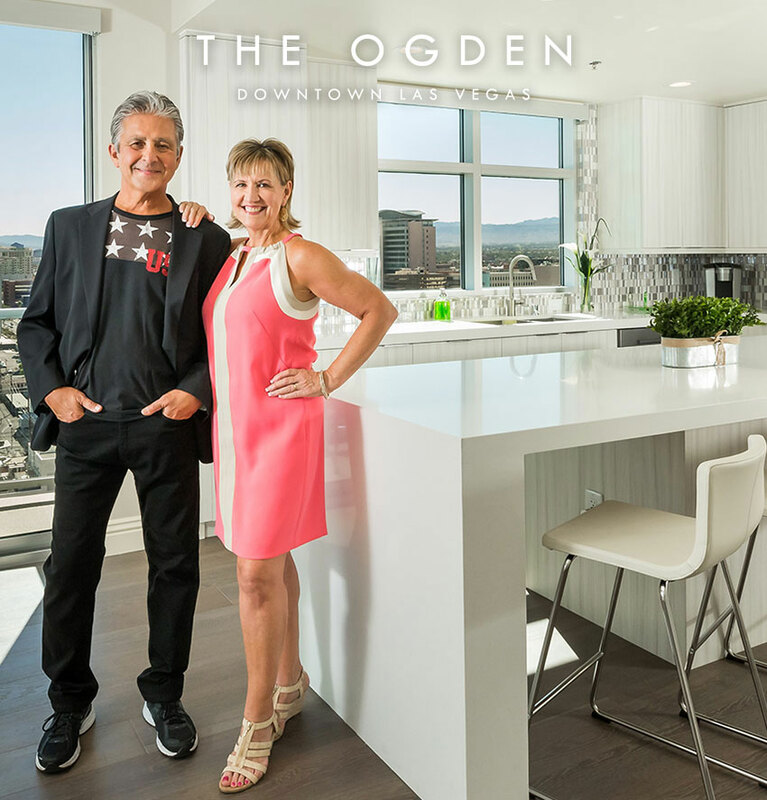 The fun in Las Vegas never stops, so read on for ways you can enjoy every day of the week at your Downtown Las Vegas home. Get your workout on at FreeStyle Crossfit – There’s nothing better than starting your week off right with a great workout. FreeStyle Crossfit, which is less than 10 minutes away from The Ogden, offers classes that improve your strength, power, flexibility, stamina, endurance, speed, and more. Never stepped foot in a CrossFit gym before? Not to worry! FreeStyle focuses all of their workouts around safety and has built the program around normal progression. This Monday, get in the gym for a free class! Grab a bite at 7th and Carson – 7th and Carson, a hot new American restaurant and cocktail bar Downtown, is open from Thursday through Monday and every day they’re open, they have happy hour from 5pm-6pm. Their happy hour includes a different drink, draft, and snack every day. Laugh the night away at The Sayers Club – It’s not impossible to enjoy some nightlife on a Monday, especially in Las Vegas. Comedian and actor Eddie Griffin takes the stage a few Mondays for the rest of summer to perform his show, Eddie Griffin Experience, at The Sayers Club. Start your week off with some laughs and good times at this Downtown Las Vegas lounge. Happy hour at Banger Brewing – Banger Brewing on Fremont Street handcrafts their own beers on site and this level of skill keeps locals coming back. They have a number of year round brews, as well some seasonal and special releases. Happy hour is every day from 1pm – 3pm and 9pm to midnight. It’s going up on a Tuesday at this fun spot. Taco Tuesday – If you don’t eat tacos on Tuesday, was it even really a Tuesday? Our favorite taco spots Downtown are Tacos El Gordo, Bomb Tacos, Pinches Tacos, and Nacho Daddy. Soft shell, hard shell, we love them all. Sweet treats at Donut Bar – “Treat Yourself Tuesday” is totally a thing (and if not, we’re making it one). This Tuesday, treat yourself to a donut, or twelve, at Donut Bar Downtown. Stop by in the morning from 7am to 1pm to get your sweet fix and try flavors like Cake Batter, Creme Brulee, French Toast, and many more. A spa day – Feeling the midweek slump? Revitalize yourself with a spa day next door at NV Spa or just down the road at Imperial Health Spa or any of the world-class spas on the Strip. Better yet, simply kick back and relax on our Sky Deck, where you can enjoy sweeping views of Downtown, all from the comfort of your own home. Scrumptious sushi – If there’s one thing Las Vegans love, it’s sushi! And lucky for us, there are a number of sushi deals in Downtown Las Vegas on Wednesdays. One of our favorites is Bocho Sushi because they have happy hour Monday through Friday from 3-6pm. During this time, everything on the menu is 30% off! Shopping at The Downtown Container Park – There’s nothing wrong with a little retail therapy! After grabbing a bite to eat at one of the many restaurants in the Container Park, head to the open air shopping center, where you’ll find unique, local boutiques like Athena’s Jewelry Box, Red Label Clothing LV, Vintage NV, and many more. Make new friends in a Meetup group – Downtown Las Vegas is home to countless Meetup groups, including The Wine Meetup, Las Vegas Foodies, 20s and 30s Sushi and Pizza Group, just to name a few. Some groups meet on the weekend, but some meet throughout the week! It’s easy to find a group that fits your schedule. Try something new – Downtown Las Vegas has grown exponentially in the past few years, and hot spots to dine or grab a drink just keep coming. Just in the past few months, Downtown has welcomed Brightside Breakfast & Burgers in the Plaza, a new menu by Beni Velazquez at The Nerd, Turmeric Flavors of India, and many more. Local chefs like Cole McBride, Rajesh Patel, and Scott Cummings keep the good times, and good food, rolling all week long. Explore your neighborhood – Looking for ways to branch out and explore your neighborhood? There’s plenty of things to do in Downtown, even on a Thursday. Bring the whole family to the Discovery Children’s Museum, brush up on your mob knowledge at The Mob Museum, or get that perfect photo opp at the Neon Museum. Las Vegas is full of fun learning opportunities that keep the week exciting. Rocking out all night long – Golden Nugget hosts live performances from renowned rock, pop, country, and R&B stars every Friday night. The 52 Fridays Concert Series makes it easy to plan a fun Friday night out on the town. You can expect to catch Steven Adler of Guns N’ Roses, Taylor Dayne, Everclear, and many more in the next few weeks. Refining your taste – First Fridays, Downtown Las Vegas’ crown jewel of art and food, brings culture, community, and collaboration to thousands of locals. This event is all about participation and bringing our city together, so join the fun on the first Friday of every month. You can even sign up to be an artist, sponsor, food vendor, or volunteer. Getting outside – This Friday, take a little drive outside of the city to experience the beautiful nature that surrounds Las Vegas. Whether you head to Turtlehead Peak, Pine Creek Canyon, or many of the other hikes near Las Vegas, you’re in for a sweet escape that will set the weekend off right. The weekends in Downtown Las Vegas are definitely something to look forward to, but there’s no reason why the rest of the week can’t be just as jam-packed! Love every day of the week when you live in the heart of it all.